A lot of work goes into the planning of a wedding. There are so many things that you need to consider and coordinate, from the venue to the cake baker, the wedding dress to the caterer, the decorations to the music, and everything in between. 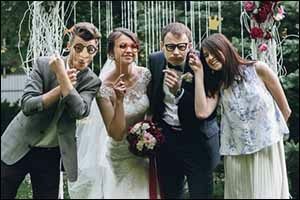 While many couples choose to hire a professional photographer to take pictures of the ceremony and bridal party, most are now opting to hire Portland photo booth rentals to take pictures of guests during the reception. A wedding reception photo booth is a much more guest-friendly option than having a photographer run around the venue snapping pics of everyone unexpectedly. 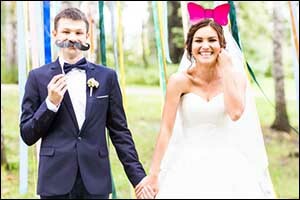 When you rent a photo booth in Happy Valley for your springtime wedding, you give your guests a fun way to take pictures, make memories, entertain themselves with photo booth props, and you can even offer printable photo strips with the date and location of your wedding pre-printed on them as favors. When you start shopping around for Portland photo booth rentals, make sure to take a look at Snap Zone Photo Booth. In addition to the photo booth set-up that everyone expects when they visit a photo booth, such as photo booth props, fun backgrounds, and printable keepsakes, Snap Zone Photo Booth also has a social media station option that allows your guests to share and interact with pictures during and after the reception. You can even set up an online gallery that allows you to view and download high-res photos from your wedding reception photo booth just by visiting the special gallery page. Choose to allow the gallery to be viewed by the public or set-up a username and password for your guests to use to browse the pictures online. Our Greater Portland photo booth rentals can even provide you with a custom photo strip in the background color and layout of your choice. There are so many ways to customize your experience when you rent a photo booth in Happy Valley from Snap Zone Photo Booth. There are quite a few moments during a typical wedding reception, where the guests are left standing and waiting. The arrival and introduction of the newly married couple as they arrive at the reception from the ceremony, taking endless wedding party photos, preparing to cut the cake or toss the bouquet, changing into traveling clothes for the end-of-ceremony departure for the honeymoon – these are just some examples of “downtime” for your guests that could be filled with something fun and exciting. High-quality photos are available from your wedding reception photo booth at Snap Zone Photo Booth. We provide you and your guests with fast instant prints that come out just moments after the photo has been taken, digital copies of all photos that were taken, and a growing slideshow of photos on display during the reception. Studies show that wedding guests have a lot of fun messing around with the props, backgrounds, and other options when the rent a photo booth in Happy Valley or the surrounding area. Couples can also choose to add further customizations to their wedding reception photo booth package. Custom photo booth props, guest mail options, video messaging opportunities for guests to leave messages for the couple, a memory guest book, multiple prints, green screen backgrounds, and you can even add a red carpet experience complete with silver stanchions to create a fun and exciting atmosphere around the booth while guests are waiting to take their turn. 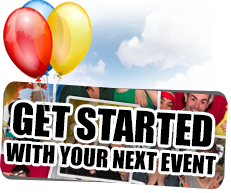 The Basic package includes a two-hour rental, delivery one hour before the event, an on-site attendant, unlimited use with prints, props, guest photo options and two 2×6 inch photo strip prints. The Deluxe package includes everything in the Basic package, plus customized strips with colors, dates, and logos, as well as the choice of a backdrop, including green screen, red, white or black. 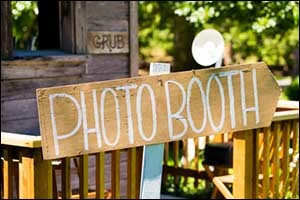 A custom welcome screen, photo retake feature, guest email option, text-to-phone option, digital copies of all photo strips and high-res photos, an online gallery and a larger selection of photo booth props. The Premium package includes the red carpet and stanchions, a running slideshow of images and a memory guest book. If you are interested in learning how to rent a photo booth in Happy Valley or are interested in all of the options for Portland photo booth rentals, give us a call at 503-207-2020. We have a wide range of options available for your wedding reception photo booth, including photo booth props and much more. 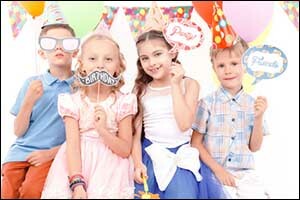 Call today to check on availability or to reserve a photo booth for your special day.